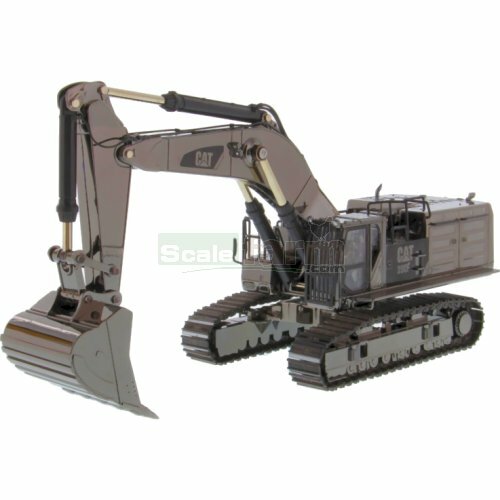 Detailed die cast metal model CAT 390F L hydraulic excavator, special edition model from the Commemorative series in gunmetal finish. With enclosed cab, detailed cab interior with operator figure, authentic CAT machine trade dress and safety decals, moveable boom, stick and bucket, body rotates 360°, authentic metal tracks. 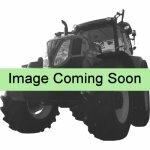 Supplied in a flip-top display package with tone-on-tone graphics treatment. Model rests on removable mirror-finish base; engravable nameplate is included.